On 8th May 2015, I conducted the session on “Foreign Trade Policy” subpart- product wise strategy, duty scrip schemes, & other issues mentioned in Economic survey chapter on Balance of payment. Total 2:30 hours, split into five parts. Recap of the previous lecture on foreign trade policy targets, regional trade agreements etc. 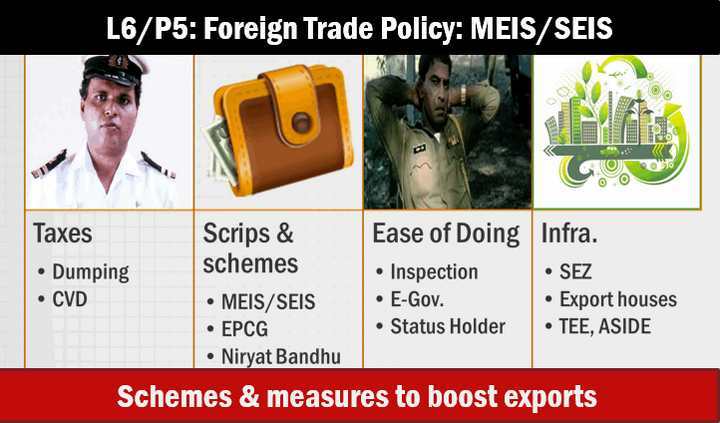 Issues related to export of textile, gems and jewellery, mining, MSME industry, engineering goods. What is Project export? How does it help in soft diplomacy and reducing trade deficit? Issues and challenges faced by Indian pharmaceutical industry and remedies through trace and track policy 2015. What is the difference between anti-dumping duty and countervailing duty (CVD)? What is Duty scrip? How does it help in boosting exports? Merchandise Exports from India Scheme (MEIS). Towns of export excellence (TEE): meaning and provisions under FTP-2015? ASIDE: Assistance to States for Developing Export Infrastructure and Allied Activities. Why the budgetary allocation for the scheme has been reduced? Quantitative easing and Fed tapering: meaning, impact on Indian economy, measures taken to stabilise foreign exchange rate of Indian rupee. 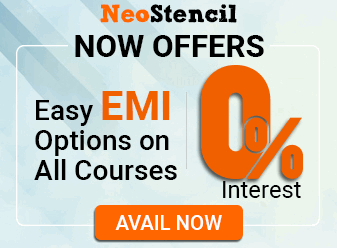 Fed Rate Cut and Rate Hike: how does it affect Indian economy? 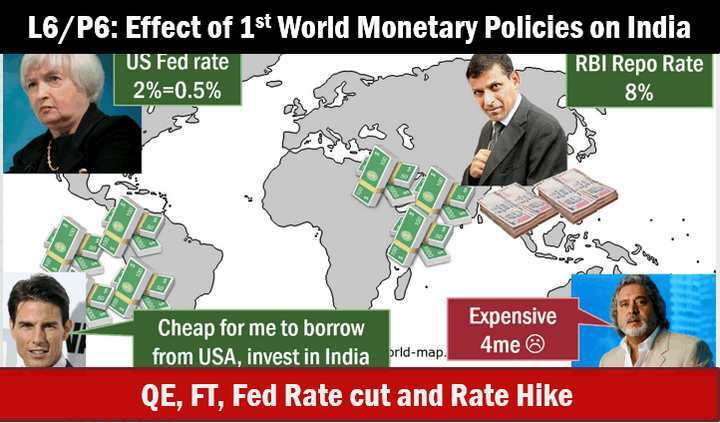 Mock Question for Mains: 1st world’s low-interest rate policies and quantitative easing, are unleashing financial turmoil on emerging-market economies. Discuss in context of India. How does China’s Mercantile policy and labour abuse help getting trade surplus? How does China keep its yuan undervalued? How did China buildup large forex reserve nearly $ 4 trillion? What are the advantages and challenges in maintaining a large forex reserve? Economic survey has recommended India to build a forex reserve worth 750 billion to $ 1 trillion through current account surplus- how can we do that? How can large forex is a help us in soft diplomacy and project exports? RBI’s guidelines for IFSC Banking Units: can they accept retail customers, rupee deposits? Are CRR, SLR applicable to them? Mock Questions for Mains: Vibrant financial markets are critical to a country’s GDP growth. 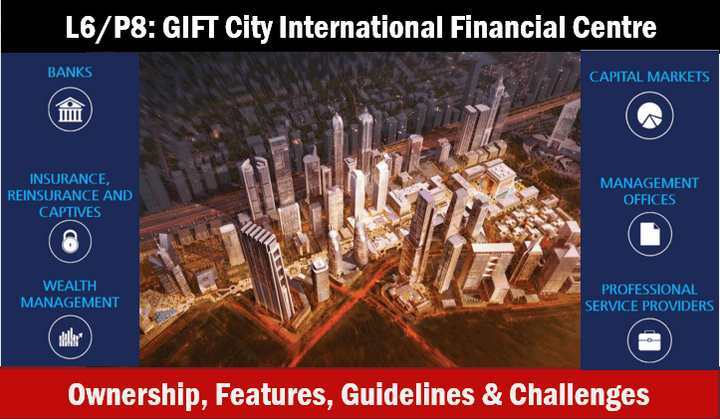 Examine the importance of proposed GIFT city in this regard, & discuss challenges in its setup. Dear All & Mrunal sir, Is it necessary to read Ramesh singh after these lectures or your lectures + Ncert + survey will solve the purpose. Dear Nikhil,It is not compulsory to read Ramesh singh,for preliminary exam. But book will help u in Mains. Sir, are these lectures sufficient for Mains preparation as well or do we need to supplement anything. Not able to fill up part 2 of CAPF… Page not opening anywhere. plz add lecture in english also.it will be useful for those who is difficult in understanding hindi. sir what is minimum alternate tax on fpi ?? 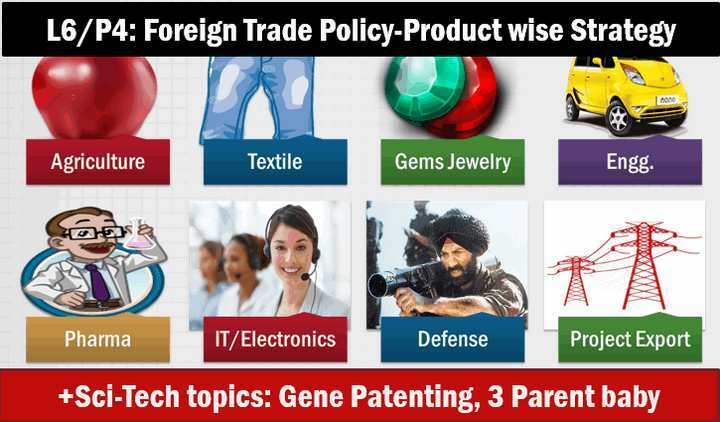 Very important one for me, Foreign trade policy is one of the topics in my studies. Thanks. sir..when will you post chapter wise economic survey articles like last year ? thank sir and as you are posting videos of economy and geography is really praiseworthy. 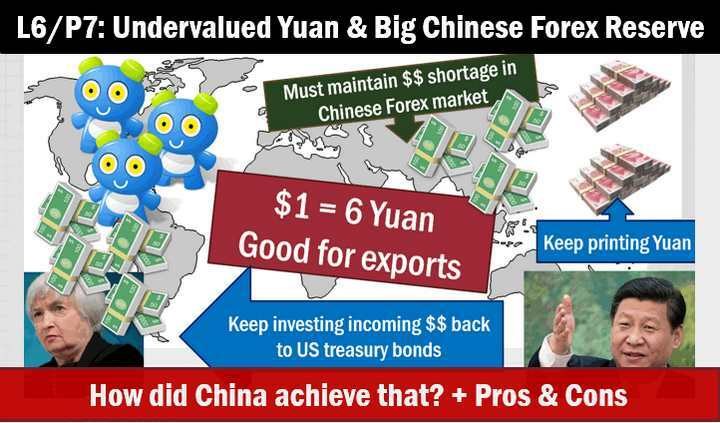 can someone explain how 1 dollar = 6 Yuan would eventually become to 1 dollar = 0.5 Yuan with continuous exports from china?